As much attention as Rafael Marquez’ red card-earning post-game tantrum is getting, you might not have paid much notice to the actual futbol that took place on Sunday at Red Bull Arena. As fascinating as the Jerry Springerization of MLS is, we at FFG consider ourselves true connoisseurs of the Beautiful Game, and therefore will cut straight to the stats. In these MLS playoff summaries we are only grabbing statistical tidbits, of course, so we can’t cover it all, but one match up which seems to have been crucial was Henry vs. Gonzalez/DeLaGarza (LA center backs). Chalkboards show an Henry performance that was mediocre at best, especially around the 18, where you’ll notice most of his 10 unsuccessful passes and 5 unsuccessful flick-ons took place. 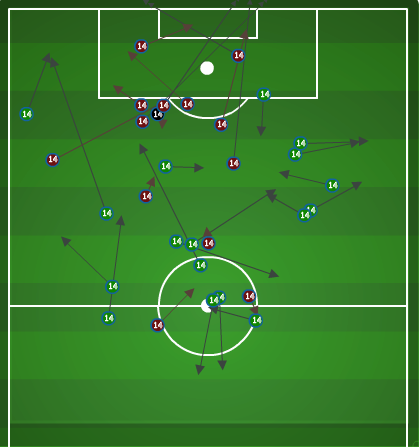 Due in large part, no doubt, to the pressure applied by Gonazalez/DeLaGarza, whose distribution map shows them playing relatively high and distributing effectively (38/45 passing combined). 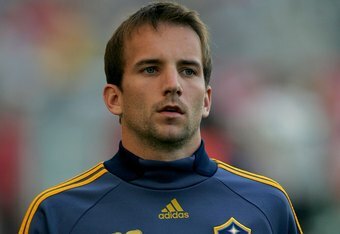 Henry's effectiveness was muted in the attacking 3rd by LA's center backs. 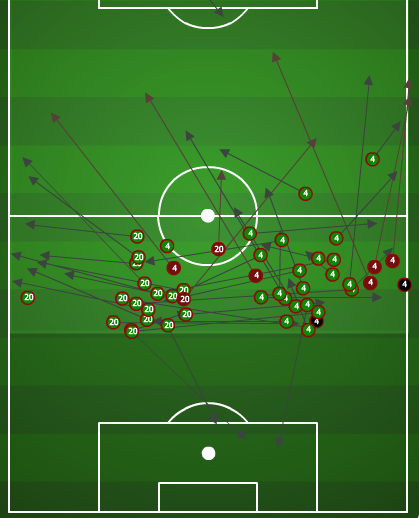 LA's center backs distributed effectively and comfortably in the middle 3rd. Henry looked especially dangerous vs. Dallas with his through balls to Richards while in a withdrawn position. LA seems to have taken the edge off that combination and look to be favorites heading back to Hollywood for leg 2.